David Garrett - O2 arena Prague 1.10.2019 The violinist David Garrett is known to the Czech audience mainly as a guest star of the Czech Philharmonic's 2015 concert. Garrett is not afraid to touch the repertoire of Coldplay, Prince or Nirvana. 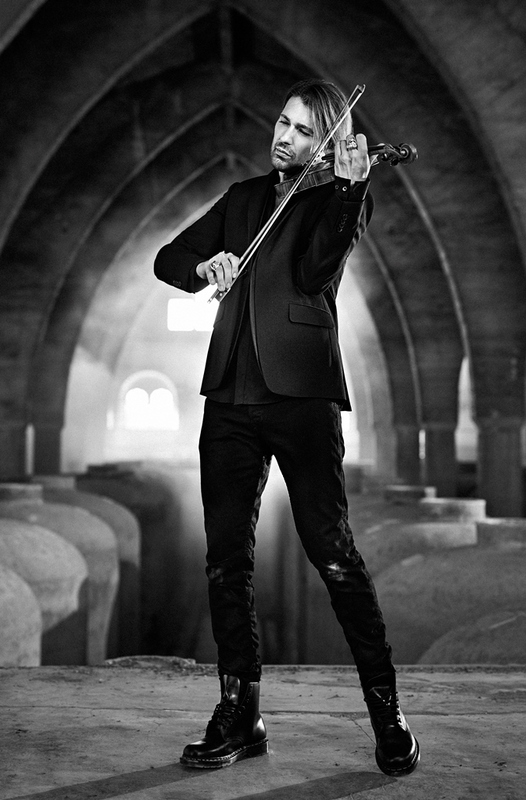 David Garrett's World Tour on October 1, 2019 at Prague's O2 arena. David Garrett | O2 arena Prague 1.10.2019 - VIP Sitting 2nd floor (club floor, comfortable seating including refreshments (hot and cold dishes, alcoholic and non-alcoholic beverages), separate VIP entrance.